In the Lauren Carlini Setter Training Package, the four-time All-American and USA National Team member gives you 40 action-packed videos of setter-specific drills, advanced setting challenges and pre-match strategy discussions designed to improve your offense. Start training to become a setting master with Lauren today! Already purchased the series? You can access the videos from your My Account dashboard by clicking on the My Training Series icon. 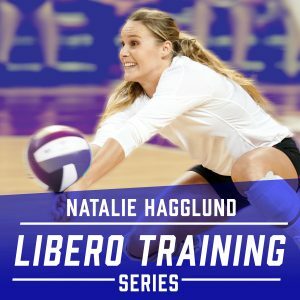 In the Lauren Carlini Setter Training Series, the four-time All-American and USA National Team member gives you 76 action-packed minutes of setter-specific drills, advanced setting challenges and pre-match strategy discussions designed to improve your offense. Great series to watch and learn from one of the best. Enjoyed listening to Lauren and Coach Stone analyze a few matches and what Lauren did to prepare for those matches. Also appreciated Lauren’s “8 lessons,” look forward to sharing some of her thoughts with my players. Have already implemented Lauren’s 5 favorite drills and look to add some more because of this series. Well worth it! Most will take away more than 1%, I know I did. Again awesome series from the middle school to advanced level player. Best wishes Lauren at the national level!